The first of the community centers to be built, this lovely building, reminiscent of a tidewater inn, originally served as a Visitor's Center and welcomed many guests to Burke Centre who traveled its flagstone pathway. 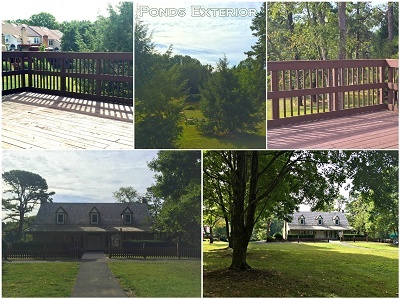 The center features a large front porch surrounded by a picket fence, and a rear deck situated amid tall pines which overlook Burke Pond. 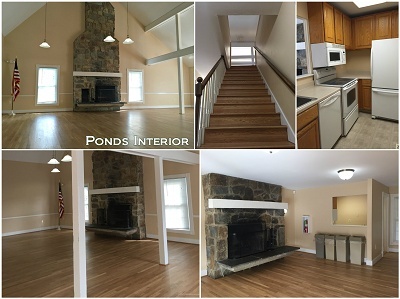 Inside, two large stone fireplaces and natural wood floors add a touch of charm to this building which lend themselves well to social gatherings, weddings and community meetings. The main level offers an open space floor plan which can accommodate a moderate size group. 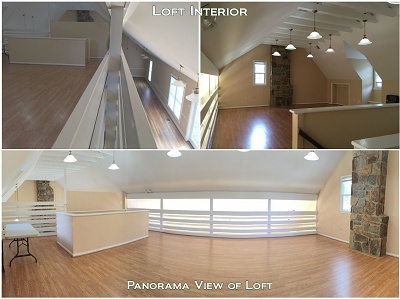 Upstairs, small groups may enjoy the center's unique loft.